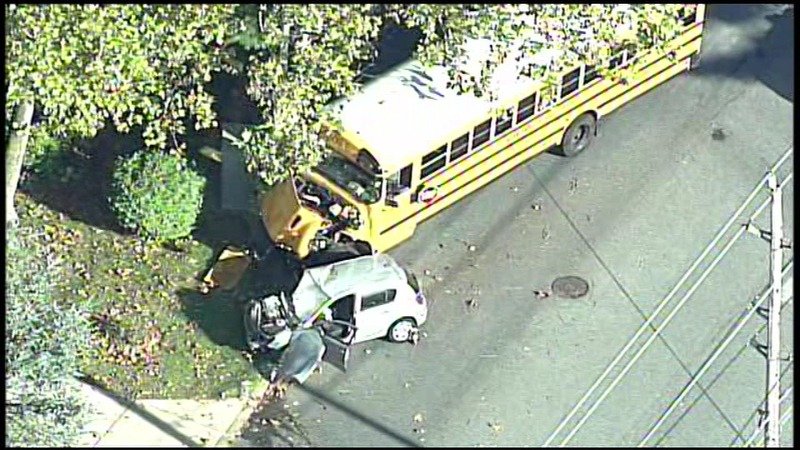 A school bus and another vehicle were involved in a crash in Wilmington, Delaware. 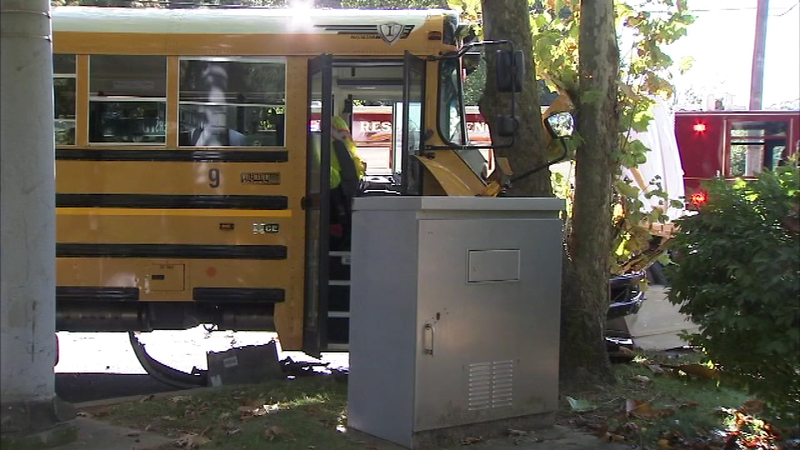 WILMINGTON (WPVI) -- A 83-year-old woman is hospitalized after a crash involving a school bus and another vehicle in Wilmington, Delaware. 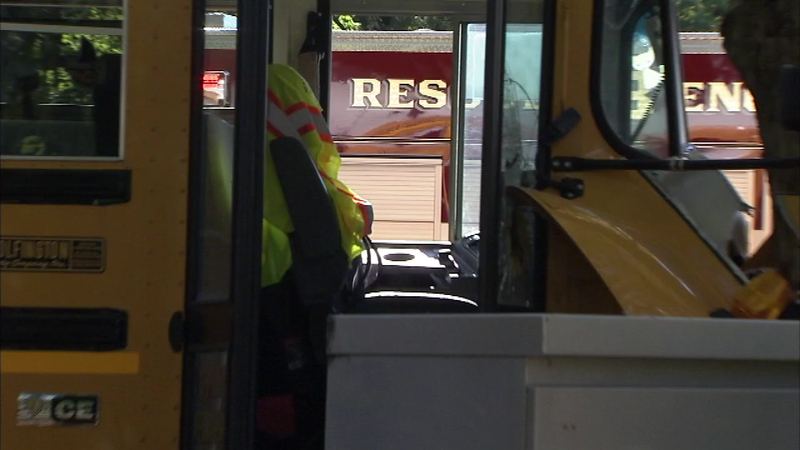 Police responded at 2:49 p.m. Friday to Silverside and Veale roads. 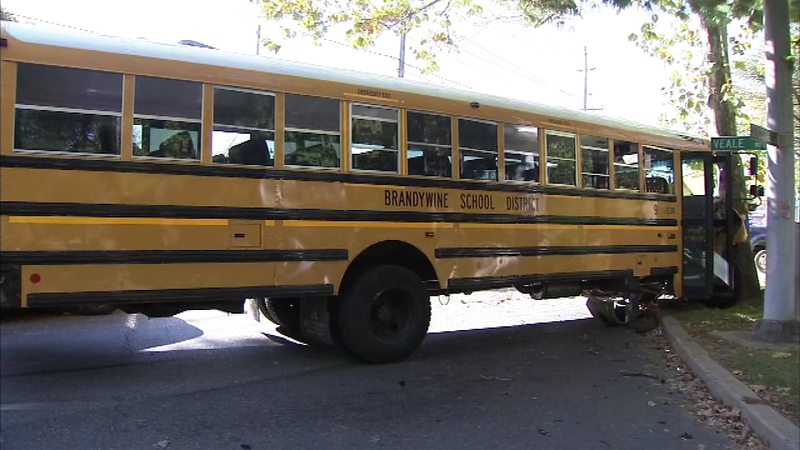 The crash involved a Brandywine School District bus. No students were onboard. 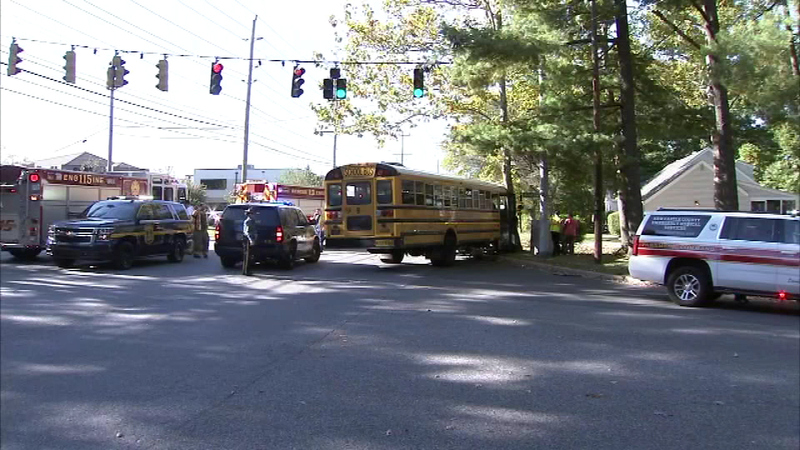 A woman is hospitalized after a crash involving a school bus and another vehicle in Wilmington, Delaware. 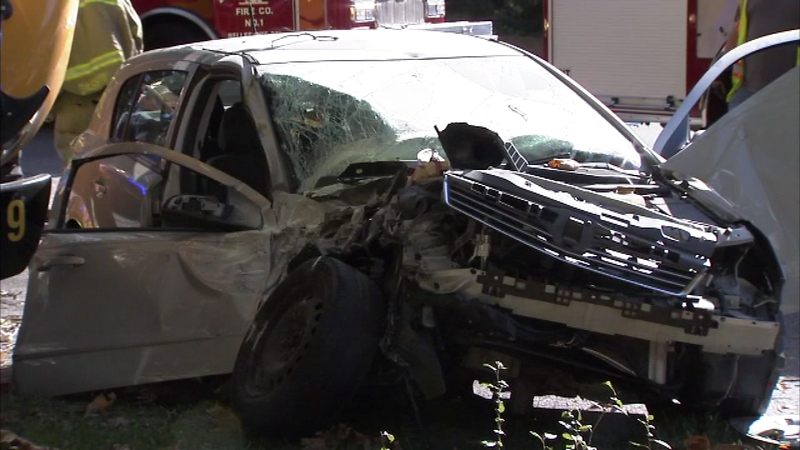 A female driver was briefly trapped inside her vehicle, but was removed and rushed to Christiana Care Hospital by Delaware State Police helicopter. 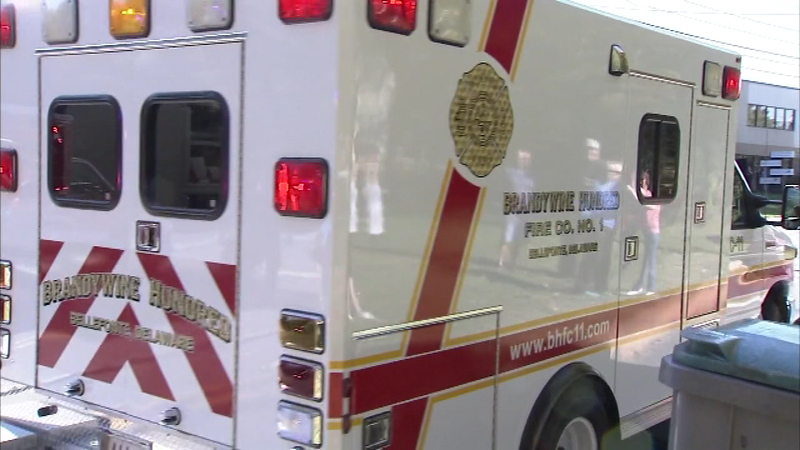 Delaware State Police is investigating.